We’re an official supplier of MEDIT dental scanners, offering a comprehensive package of installation support and training. Call now for details and our best prices. The T-series has developed from the ST, the Medit Blue, and the Hybrid. They have a reputation for speed and accuracy, and are ideal for implant cases, as dimensional accuracy over the long span is assured. With the T500's fast scan engine and highly efficient software algorithm, you can scan a full arch within 12 seconds or eight dies within 19 seconds. 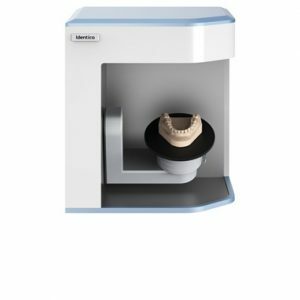 This makes Medit's T500 the industry's fastest 3D dental lab scanner. You can find the full datasheet here. RRP £12,385 - get in touch today to discuss your needs and to get our best prices. The T-series has developed from the ST, the Medit Blue, and the Hybrid. They have a reputation for speed and accuracy, and are ideal for implant cases, as dimensional accuracy over the long span is assured. 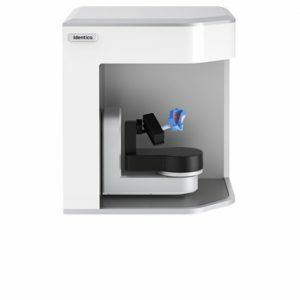 MEDIT's Identica T300 is optimised for your daily dental lab work, helping you digitise your work-flow and get rapid, high quality scanning at a very affordable price. The MEDIT T300 will get you reliable scan results with a minimal investment. The T300 will provide you with a powerful scan engine, 2.0 MP cameras, Blue LED Accuracy less than 7 microns (ISO 12836) Full arch scan time is just 24 seconds. RRP £7,050 - get in touch today to discuss your needs and to get our best prices, or to discuss the range of extras we have available for the Media T300. You can find the full datasheet here. 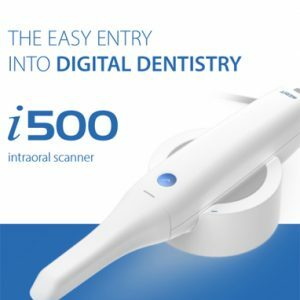 Designed with quality in mind, the i500 was created to add value to your practice. Regardless of specialization the i500 ensures that professional needs are met, workflows are optimized, and flexibility is guaranteed. Call today to discuss your needs.